My magic in a bottle? 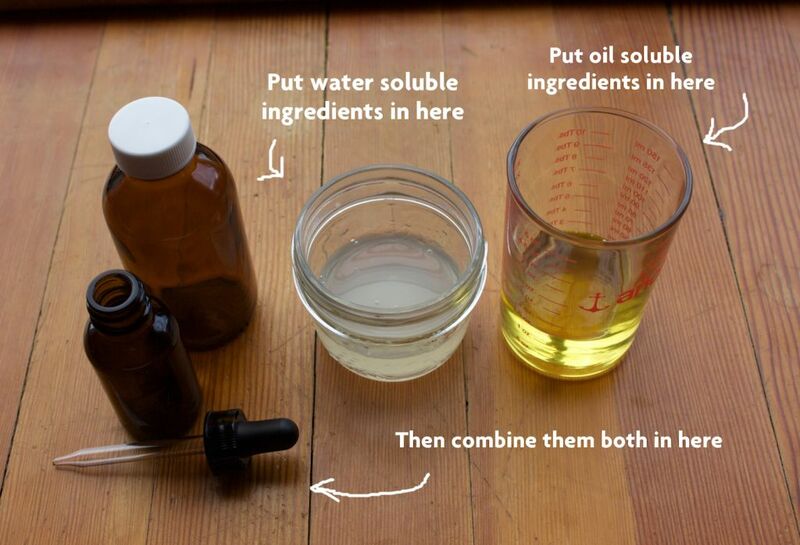 As I’ve been mentioning, I’ve been been super jazzed about making my own DIY skin care stuff lately. My favourite has been making my own super amazing anti-acne and anti-aging moisturizer concoction. This is because I love being able to pack in a ton of awesome, healing ingredients into one easy product without all the chemicals and junk that usually come along with formulated products (even natural ones). I strongly suggest making your own moisturizer! Because it’s the best you’re going to get for your skin, and the base recipe is SO friggin’ easy to make. It gives you very important background information on DIY moisturizing that you need to know before continuing on here. The base recipe for the moisturizer is just two ingredients. It is the canvas from which you can paint yourself a lovely little mixture. 50% carrier oil of choice (either just one, or a combination of carrier oils). Click here to learn about choosing the right oil for your skin type. And 50% aloe vera gel. I have been using and really like Green Leaf Naturals. These are the base ingredients because the aloe soothes the skin and brings in moisture, and the oil then locks it in. Mix them together in a dark glass dropper bottle, and shake. And you’re done. Shake it a little before each use… use a small squirt of it twice a day, massaged into damp or wet skin. The oil should fully absorb within a half hour or so but may leave you looking a little dewy for a while, which is ok. Adjust the amount you use up or down based on your experience with this. You can stop there with your DIY moisturizer. I wanted to give you the most basic recipe so that you don’t feel like DIY is super intimidating or that you have to dump a boatload of money right off the bat. Well, I didn’t stop there and you don’t have to either… you can concoct to your heart’s content! After all, this two ingredient moisturizer is the perfect vessel to bring other healing ingredients deep into the skin. I suggest making small batches, and maybe adding one ingredient each time to see if your skin likes it. It is important to go slow, especially if you have sensitive skin. We don’t want to go too fast and make things worse. 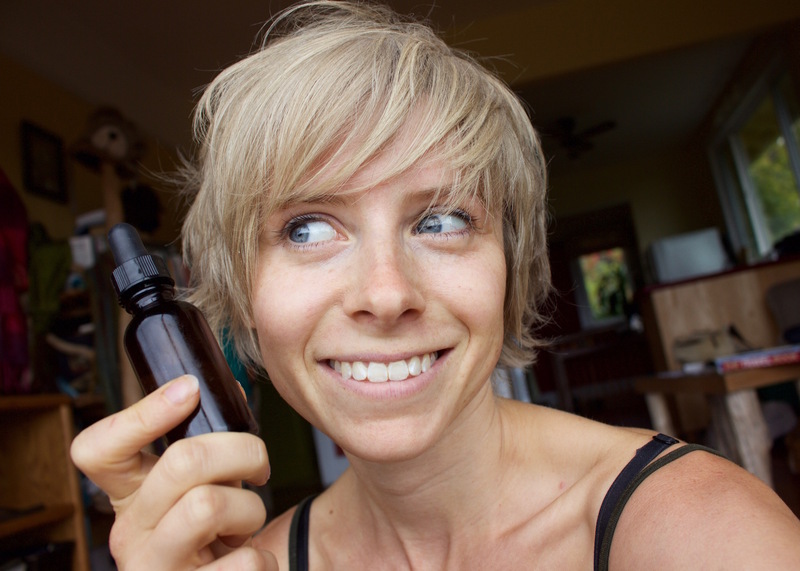 Essential oils – this is a huge rabbit hole.. I honestly can’t believe I never got into essential oils before! They’re so cool! There are so many to choose from for the skin; since I have to narrow it down, I would recommend starting with frankincense and lavender. MSM powder – Builds collagen fibers in the skin and fills in acne scars. Antioxidants – Just a touch of Vitamin E oil and/or rosemary extract to extend the shelf life of your oils. This is most important if you are using hemp oil, or some other “dry” oil, in your mixture and don’t want to always have to keep it in the fridge. I’ve been playing around for a while now, and I’ve hit on the recipe that I am personally very happy with and am going to stick with for a while. I think my skin looks and feels friggin’ great! My skin feels hydrated and even toned, fine lines are not as noticeable, any scabs or red marks heal in record time, and my usually clogged up forehead is smooth as a baby’s bottom. Here it is. Keep in mind that I have skin that’s more on the dry side. You might change the carrier oils and essential oils if your skin is more oily. You also may reduce the amount of aloe compared to the oil if you find that your skin is so dry that this isn’t moisturizing enough. You are free to play around with ingredients and see what makes your skin feel great! If you want to make more than one ounce, then just multiply the above accordingly. So basically all you do to make the moisturizer is sort the ingredients into oil soluble ingredients, and water soluble ingredients. In this case, niacinamide B3 powder and MSM are both water soluble. So you would first put your aloe vera in a clean cup, and then mix these powders into it until they dissolve. You might need to mash the MSM with a spoon to get rid of all the chunks. In another container (perhaps the dropper glass you want to store it in), mix together your carrier oils (in this case, the argan, tamanu, and hemp seed oil), and then add your oil soluble ingredients to that (in this case, the essential oils and the Vitamin E and rosemary extract). Then mix them both together, preferably in the bottle you’ll be storing it in. Anyway, combine them, give it a shake, and voila. The only thing that makes this slightly more complicated is if you want to add green tea. What I did was before I mixed anything else, I put the argan oil in a cup and then put my teaspoon of loose leaf green tea into it. 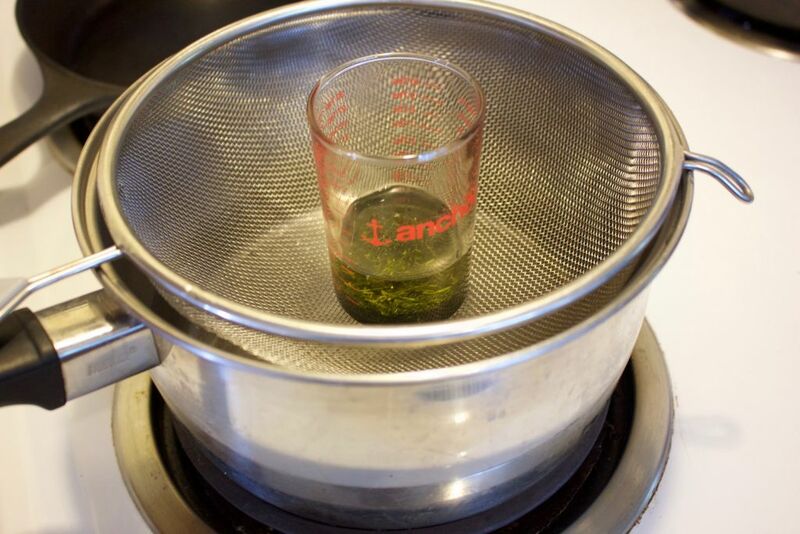 Then I placed the cup in a strainer over top of some boiling water (this is called a double boiler) for about an hour. See, you have to heat up the green tea to diffuse it, otherwise you won’t get any of the nutrients in it that are good for treating acne. But you also don’t want to heat up the oil so much that it damages it. So this doubler boiler thing is the best way to go. Anyway, then I strained the argan through a fine mesh strainer. Then I added the other oils and ingredients. Instead of doing this the painful way as described above, you can instead just use green tea extract to add to your moisturizer (maybe at 10%?). Only problem is that it’s hard to find organic green tea extract that isn’t suspended in alcohol. This is the only organic one I could find that wasn’t. It’s mixed with glycerin instead, which is okay I think. In future posts, I’ll be going over all these ingredients in more detail and why I’ve included each of them in my own superwoman moisturizer! Without an emulsifier, do these ingredients mix well or do they separate? 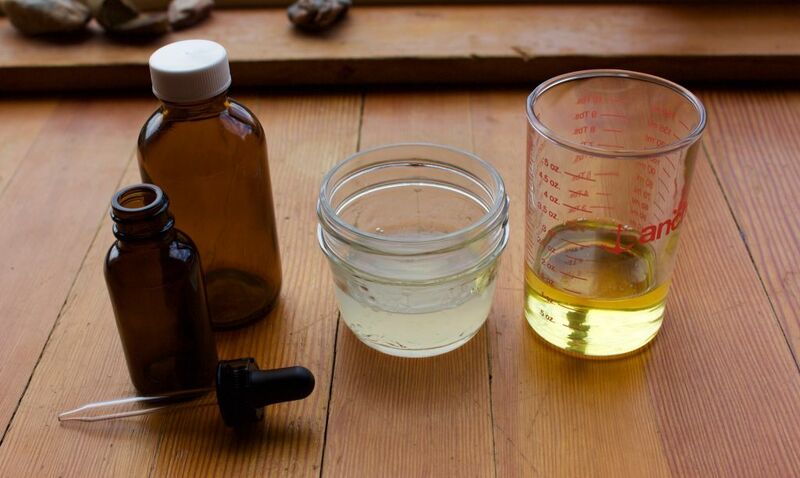 Also, what would you say is the estimated shelf life of this DIY moisturizer? I would never recommend mixing aloe (even store bought with a preservative) with other ingredients, especially oils, because you’re diluting the preservative and creating a breeding ground for bacteria which will of course cause further acne breakouts. So awesome i am experimenting with jojoba and aloe vera now too. It is a bit drying so maybe i should try some other oils too.. Also does this mean you are not caveman anymore? Do you wash your face too now? Hi Jocelan, definitely try argan! It’s great, it’s much better than jojoba if your skin is more dry. So i was trying to order from your links and it will not ship to canada. I tried Amazon.ca but it is over $70 there! How did you order it? Thanks for sharing this Tracy!! I’ve made my own blends with different oils, which I love. I’ve also purchased some wonderful oil blends, which is a great option for someone that just doesn’t want to do the DIY thing. But I’ve never tried mixing the oil and aloe. Makes so much sense. And I love that you don’t bother adding an emulsifier!! Awesome recipe! I was wondering.. If you put the “water” ingredients, like aloe vera, in the blender and slowly drizzle in the oil ingredients, would they emulsify (think mayonnaise) for more of a whipped consistency? I’ve made Rosemary Gladstar’s “perfect cream” like this, but it’s a bit too thick for a facial moisturizer. Hi Lauren, I don’t know. I’ve read a lot about this being done with shea butter, but never for these more liquidy oils. You could always try and let us know how it goes! I think I will 🙂 I have an aloe plant that needs a haircut. I finally got the hang of making mayonnaise, so I feel like it will work for these ingredients as well. I want toknow did you use the actual aloe vera gel from the plant or bought it from the store. I have normal skin and do get blackheads on my t zone sometimes…it’s a bit strange but no other oil works for me apart from coconut oil, not even jojoba and sweet almond as they clog all.my pores up from deep within and then it’s really hard to get rid of them.Are there any specific oils that you could essential oils that you could recommend that I could mix along with the coconut oil and aloe Vera for.my type of skin keeping in mind that it wouldn’t clog my pores. Hi Hazel! A lot of people love coconut oil, but I am surprised you say it’s the only thing that works for you.. it is quite high on the comedogenic scale (a 4 out of 5) and I always assume that people who get good results with it are not that acne prone. But everyone’s different! Have you been using it for a long time? Thanks for your response Tracy! I have been using a coconut oil and pure aloe Vera gel mix for about a month and it feels great, however when I tried aloe Vera and almond or jojoba, it didn’t work well, I get this feeling that I am from the tropics so probably that’s the reason,,just guessing…. Also, I tried the papaya for about 15 days but I feel no sensation on my skin whatsoever, do you think I would need something stronger than papaya? Also, I have some deep clogs left behind due to using the wrong oils, how do I get rid of these and also the open pores on the sides of my nose that’s on my cheeks. I am a huge fan of all your articles and the way you write…you are amazing?. Hi Hazel, were you mixing the papaya with just water to make a paste? If so, try adding some organic apple cider vinegar to it. Start with a little bit, and as time goes on you can start using only ACV mixed with the papaya powder. This should create more red tingliness. If still no, then you can move up to pumpkin or pineapple powder. I have been following your website for about 5 months now. And in 5 months my skin has been better than ever before. 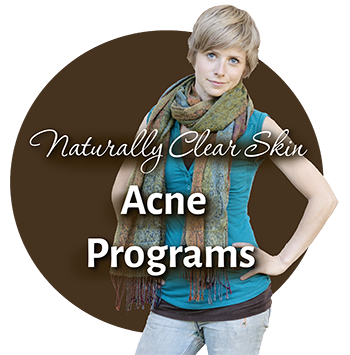 I barely have acne and it is so amazing what organic and simply recipes can do to your face. I wanted to thank you so much. I am still working on having a clear face but I will never use anything that is not natural again! I did have a couple of questions. I wear makeup everyday and cannot seem to find a good makeup remover, do you have a blog about removing your makeup the natural way? I cannot seem to find it. I also wanted to know if you suggest a good cleanser to use before I moisturize my skin to get rid of all the impurities that acne leaves. Also, should I use a toner before I use my moisturizer? Do I even need a toner after I create my natural moisterizer? I was using a rosemary toner before and my moisturizer was water and jojoba oil but now I have dry patchy skin on my active acne. So that is why i am now going to create my own moisturizer like you did in this post (which is amazing). Hi Frami 🙂 Stoked to hear your skin is going so well! Makeup removal… I need to maybe do an updated article on that, thanks for the idea. In the past I have recommended the Jane Iredale Magic Mitt: https://thelovevitamin.com/5457/how-to-remove-makeup-without-cleansers-oils-or-makeup-remover/ – a lot of people really do love this, however, I’m not as keen anymore to recommend any sort of mechanical exfoliation, especially on a daily basis (although the cloth is quite gentle). What I would recommend instead is to apply an oil all over your face where you have makeup… doesn’t have to be fancy… jojoba will do. Let it sit for a minute or two to let it dissolve the makeup, then wash it all off with raw honey. Then before your face dries, apply your DIY moisturizer. I don’t think you need a toner! Thank you so much for replying back to me. I appreciate it so much! Thank you I will definetly follow your instructions and will give you an update on my skin 🙂 You are THE BEST! Hey, Tracy! 🙂 Thank you so very much for the recipe! It helps a lot for my oily skin! Could you recommend something for eye area, please? My skin is very dry around eyes. I’ve tried a lot of different things, including avocado oil, argan oil. They moisturize, but not much. Thanks for sharing such great and practical advice. Any recommendations in regards to adding a particular oil for sunscreen? I tried to buy from all your links. But i live in Canada and they all are not delivering there. How did you get them? Hey Tracy, thanks so much, these two diy moisturizer articles are the most informative and comprehensive I’ve found out there on the www. I’m pretty keen to try this. How would I go about it using shea butter…since its pretty solid at room temp? If I melt and mix it with water will it still go all clumpy once it cools? Yep you would gently melt the shea butter and when it’s cooled a little but not quite solid yet, mix in all the other oils and ingredients. It works really well if you use like an electric mixer.. like a handheld electric egg beater thing. I tried this once using aloe vera and it seemed to make a really nice mix. No clumps. I never tried water though, so can’t say on that. Awesome, thanks for the reply! Ill have to try that. I also had an idea/question about application of the moisturizer. I like to touch my face as little as possible and I find that applying oils kind of requires a lot of touching. What about misting these moisturizer concoctions on? Do you reckon that might work, and allow for easier spreading and less touching? Thanks! I might try the zinc and see how it goes. The aloe I use in my DIY is a gel so it’s a little thicker consistency so maybe it will work! I guess we will see! I think you explained this in one of your prior posts, but in regards to jojoba oil….should I worry about using jojoba vs argan or hemp since jojoba is a 2 on comedogic rating? I have combination skin (oily with spots that are dry patches, probably due to use of epiduo and differin gel)…I ask because I think you mentioned jojoba is one of your favorites? To be honest, I have yet to dive into using any kind of oil all over my face yet because I’m terrified. lol. Which brings me to my next question…would I use the oil creation in this post before or after using my retin products? This is awesome, thank you. I was wondering if you knew of any natural sunscreens that you could add, someone above mentioned zinc but do you know anything about coconut oil as a natural sunscreen? My question is, if I am just starting out with the caveman regimen do you recommend moisturizing as part of it or doing it completely like you were previously? My skin is naturally dry like yours is, so I was curious if you were getting better results from your skin now that you were adding that. I’ve learned a lot about external skin care in the last year or so, and from what I’ve learned is that the caveman will work a lot better AFTER you’ve ditched synthetic skin care / synthetic makeups, purged your skin of all the old chemical ingredients that get stuck in the pores after years and years of use, and gotten your skin naturally regenerating and exfoliating itself on its own. In order to do this, moisturizing and hydrating the skin with oils and healing natural ingredients is very important, and the enzyme masks help this process a lot too. After your skin is functioning better, you can then transition to the caveman if you wish, although I’m finding no real downside to continuing to moisturize. I quite like it now and find my skin feels and looks good with the beneficial ingredients. Anyway – if you jump straight into caveman after using years of chemical products, it’s likely that your skin may work itself, but it will probably take a lot, lot longer! hi tracy! im currently washing my face once a day with a sensitive acure wash, but my face has become really inflamed all of a sudden. so i now just wash with raw honey once a day and use Acure organics argan oil twice a day. the oil just seems to sit on my face, and my fave is still itchy and red from inflammation. however, i have dry skin and the skin on my face at the moment is hot to the touch, so i feel like argan oil should work? it usually works (ive been using it since july), but maybe i should switch to jojoba oil? Also, i have applied aloe directly from my plant onto my face, and my face really reacts to it. its super drying instead of moisturizing. what do you think i should hse in place of aloe gel if I am making my own moisturizer with argan or jojoba as the carrier? if you would permit me to reply to your comment, i had a similar experience using aloe directly from the plant. It made my skin feel dry, and a little itchy, even though every thing i read about it says it should be soothing. I tried store bought aloe vera for topical use ( lily of the desert in a tube) and it was better. It didn’t find it very moisturizing either, but at least no itching. I have just ordered another brand on amazon to make this moisturizer recipe because it has more natural ingredients than lily of the desert. I will try it on it’s own before putting it in the recipe to see if I react to it. I just wanted to say i finally followed your recipe and am getting awesome results! I was using jojoba oil and aloe before but this new mixture is a million times better! I highly recommend it!! I wish i knew about this earlier! Woohoo! 🙂 Glad to hear this! how to preserve it? and for how long? What;s your experience with shea butter? I have been super busy in the last months, so I haven’t checked your website as often as I wish I could do. My question regarding this DIY moisturizer is the following. Do I have to mix that much of aloe vera and oil? Do I have to add the mixture first to the big bottle and then add a portion of it to the dropper bottle? I have also read your other post about frankincense, that you don’t recommend to apply directly to your skin. Can this oil be added to the DIY moisturizer if I use for example aloe vera and jojoba or argan oil? Do you recommend applying argan oil directly on skin? Hi Andrea, no you can definitely make a smaller mixture, and you can keep it in whatever container you want. But since I like to make a bigger batch, and to keep it fresh longer, I like to keep most of it in the fridge and a little bit in the smaller container in the bathroom. And yes essential oils need to be diluted in a carrier oil .. such as jojoba or argan. So yes if you make a DIY mixture with aloe and argan or jojoba, you can add the frankincense right in there. i was wondering when you were going to start worrying about wrinkles! I have been doing a modified caveman for a few years now( distilled water at night) . I dont have much acne anymore ( i am 40) but being acne prone and sensitive to products, i love the freedom of using NOTHING. Once in a while, my skin does get a little flaky and then i will apply a drop of jojoba oil or argan oil. I notice when i use nothing, the skin is more balances and less dry. When i start using oil, it looks nice when i apply it, but after a few days, it seems to start a little cycle of my skin NEEDING it. I like using nothing, but at 40 I worry about wrinkles. I wonder how many women out there over 40 use nothing on their face. I have worried and cried over my acne for many years in my life, now i feel a little angry that I should worry about wrinkles. When i had pimples, i would feel an anxious need to put something on it to try and fix it. Now i see wrinkles, and i feel the same anxious need to put something on it. I dont like this feeling. Will i EVER be at peace with my skin?! Hi Diane, haha yes wrinkle worry started to kick in. I had a little bit of an anxious year but I’m feeling better about it. I think it is mostly a mental balancing act – it needs to be understood that we want to take that action in response to the anxiety and not actually to the acne or the wrinkles. Yes somehow the knee-jerk reactions often make the anxiety worse. I think it’s a lot about acceptance… accepting that you probably will never like the acne or wrinkles, but don’t let it ruin your day.. or your life. Just keep on with the business of living despite it! And don’t make decisions about skin care when you are pushed into it by a state of anxiety. Give it a few days and decide what you want to do when you aren’t so “in it”. Anyway – I just published an article about humectants and look out for my next blog post after that (that I am about to publish this week)… maybe you need to add some humectants in addition to oil. Thanks a lot for sharing all this info with us, I been reading all your articles and I love them, I just can not stop reading them hehe. Well I am willing to make my own moisturizing cream right now and I have a big question. When you talk about humectants in other articles, where in my daily routine the moisturizing cream would fit, before the humectant or after it or would the moisturizing cream replace the humectant? I just have one last concern, I used the last week a product that my dermatologist gave for my acne wich has niacimide 2% and tazarotene 0.05% and it gave me a really bad allergic reaction on my skin so I am not using it any longer. But now I see the niacimide and all its benefits and the same for the tazarotene(vitamin A) and I dont know if maybe is the mix or the quantities.. I dont know if I should include the niacimide on my moisturizing cream…I already bought it je.. well… thank you for your help I really appreciate it 🙂 Have a great weekend! Hey Tracy! Great idea 🙂 thank youuu! My skin it’s sensitive and I have still breakouts and blemishes, I do have also lots blackheads and I am afraid to put anything on my skin, even oils. However my skin gets flaky and dry so definitive I have to do something about this. I was thinking to make a papaya mask but someone mentioned here about that papaya mask cause him/her growing beard?! Do you use any kind of cleanser before applying this moisturizer? I’m dealing with finding any kind of moisturizer or oil that doesn’t make me oiler. I’m currently using Jojoba mixed with Frankincense and a few drops of Grapefruit but I get so oily throughout the day that I look like a BP spill. I’m not sure if it’s zinc oxides in the SPFs I use, but I am a total grease ball. I’m currently using the EltaMD SPF 45 my aesthetician recommended I use. Help. Hi angela, maybe just try aloe vera and glycerin and that’s it, without the added oil. Like 10% glycerin to 90% aloe vera in a mixture, and see what happens. What’s your input on red raspberry seed oil and safflower oil? Safflower oil high in linoleic and comedonic: 0. I have extremely oily skin and nothing works. I do love aloe vera gel and it gives me a matte finish (even just for one hr lol) and need to increase aloe vera to 70-75% of the serum mixture . The other 20-25% oil. I’m currently using Jojoba and it breaks me out like crazy. I also cleanse with honey, which I enjoy. Ok quit the jojoba then! It’s definitely no longer my fave oil. It’s kind of too waxy feeling, now that I’ve branched out. I love red raspberry oil, it’s light yet moisturizing, high in linoleic, supposedly very sun stable so its less finicky than hemp, low to no comedogenic. I use it now. Never tried safflower, don’t know as much about it but I think it’s fine too. There’s actually an oil I learned about recently — sea buckthorn berry oil that in studies reduced oily skin and acne by somewhere around 45% after 8 weeks. It basically inhibits DHT conversion in the skin (the androgen that causes acne). Green tea does the same thing. I would try that out, and mix the sea buckthorn berry oil with your red raspberry oil. Apparently sea buckthorn has kind of a dark pigment and it could be used straight but might end up making your face a weird colour. So mix it in the ratio that is ok with you. Remember to apply all this to damp or wet skin! Good luck! I’ve ordered some red raspberry seed oil samples and I like it thus far. No break outs at least. My skin is still oily but I like the feel of red raspberry seed oil. Your mention of glycerin is a good idea. I suppose right now my skin doesn’t retain the water and glycerine should help this, right? I will try sea buckthorn! But, I have a lot of dead skin. Do you think I need to moisturizer with some oil of shea butter ? But I do have a question … do you use a preservative in your moisturizer? Just wondering as formulations with aqueous components are prone to microbial growth. I know you mentioned the preservatives in the aloe you get, but I’ve been trying to figure out myself whether that is enough after adding the additional ingredients. Glycerin is bacteriostatic but only when used in much higher concentrations. Or do you just make really small batches at a time that can be used before microbial growth can occur? Hi Kelly – I don’t honestly know the answer, but I haven’t had any trouble so far with the preparation. I feel like I go through it fast enough I suppose? Could vitamin c be added to this moisturizer? If so, how much? Or do I substitute B3 powder for vitamin c? Thanks! Yes you can add Vitamin C but if you use the Vitamin C, then I wouldn’t use the niacinamide as they aren’t compatible apparently! Can you add hyaluronic acid serum to this recipe? How would you go about that and how much? I want to make this recipe for a 5 month supply because I will be abroad. I am using a aloe vera moisturiser with preservatives in it, instead of pure aloe vera gel. Do you think I will need to add more preservatives to be sure? I want to use lavender and maybe tea tree oil. I have a prescription face cream (metronidazole) and was wondering the application order you might think is best with your diy moisturizer. Online searches seem to give conflicted answers. Thanks! I stumbled upon this recipe about a week ago and I have just made the mixture today! Instead of using frankincense and lavender for the essential oil part, I used tea tree oil (6 drops) and lavender oil (6 drops). I usually use tea tree oil for a spot treatment because it works so well for getting rid of pimples, but would it be okay to use in this moisturizer? I am scared it will cause too much dryness. Hi Romy, only your skin will tell! What causes dryness for one may be fine for someone else. I wouldn’t overdo it but adding some to the mix should be fine. I would like to try niacinamide for it’s oil/sebum controlling properties. Before I purchase it I would like to know if you’ve seen any mattified effects in Diy powder version? 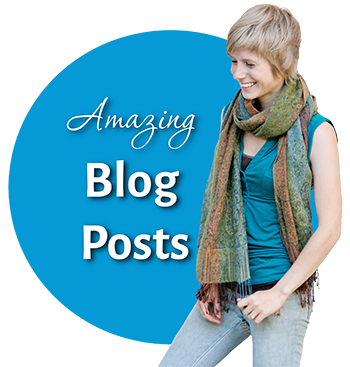 Hi, I recently found your blog and have since ordered a couple things from your referrals. One of which being the newest niacinmate (sp) b3. The first couple days were great then I started noticing white heads and a large cyst on my neck. I mixed a quarter teaspoon to about 3/4 of an ounce of other things I’ve been using with success. Does the b3 have a purging stage? I have been using the moisturizer above and washing my face with honey now for a few months. I have also tried the papaya mask. The first two months my skin was better then ever, but now I’m starting to get a lot of little pimples on my forehead and chin. Any idea why? Am I missing something? 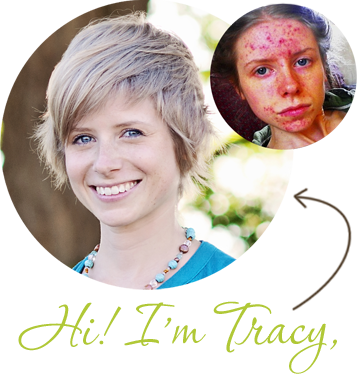 I love your site, your articles on DIM, liver support, manuka honey, and oils have been a saving grace after suffering for over 20 years of constant, hormonal cystic acne, and my face is now clearer than it has ever been since I was a little girl. I am going to try making a DIY moisturizer with aloe and possibly lavender based on this article, but I have a question: I recently watched the video where you show how you used to wash your face, and was wondering what you think about splashing water on one’s face AFTER rubbing in the DIY moisturizer (as well as before), then patting dry with a towel like you used to do with the jojoba oil. I ask because I have very oily skin, and when I DON’T splash with water after applying oil (right now I just use hemp seed oil) and then pat dry, my face stays really oily. I think it’s totally fine, we all have slightly different skin — it’s definitely fine to experiment and do whatever variation makes your skin feel the best.